Get out the cauldrons, it’s time to bubble up a delicious witches brew Halloween drink for kids! We promise, it’s easy! No toil and trouble here! Actually, you don’t even need to “fire” up anything. Okay, I totally blew that Macbeth reference! Anyway, this is such a fun Halloween drink for kids because it takes so little to make, yet looks so spooky and wicked. It’s perfect for Halloween parties, a treat before trick or treating or just to celebrate the season. There are so many different ways to make up Witches Brew! Have you ever made your own version of this Halloween drink for kids? Tell us what you used! That’s all it takes! Serve the Witches Brew in fun, spooky Halloween-themed cups or mugs. Or use cool Halloween beverage clings to turn your ordinary glasses into nifty seasonal ones. As mentioned above, you can use other flavors if your kids aren’t fans of licorice. A few ideas that go well with grape juice include: blueberry, strawberry, apple and pear. 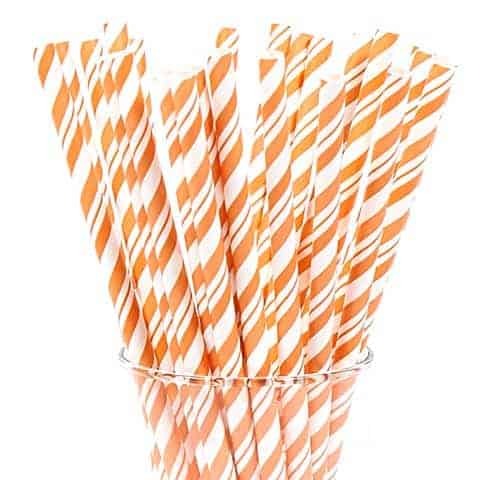 If you’re serving this fun Halloween drink for kids as a party punch, put it in a cauldron and let kids use a ladle to scoop it into their cups. Or if you have young kids, maybe have a grownup do it, unless you like mopping up Witches Brew! Amazon has everything from plastic cauldrons to really cool cast-iron ones. It depends on how much you’re willing to spend on your soiree. Amazon has a bunch of natural ginger ales if you prefer to go that route. You can also find it in your local health food store. Of course, you could just get it off the shelf in the soda aisle at your store. You’re only using a little bit to make it fizz and give the Witches Brew a kick! I think that about covers it! Really, this is such a simple and fun Halloween drink for kids! Most of the work is in the extra details, and you can feel free to skip those steps! I love this! What better to serve at a creepy party than witches brew? Awesome idea, I can’t wait to whip up a batch of these! Now that’s looks fun! It’s perfect for a Halloween party! This sounds like a wonderful drink on Halloween. I think it would be great for parties. I love witchy things for Halloween. This sounds like a great drink, though I’m not a fan of licorice, so I’d probably go without it. That looks so cool and refreshing. Forget the kids, I’d drink it all up myself! What a great and fun idea for Halloween Party i will spread this to my friends. This is great idea, this is great for parties. I’d like to spread this to my friends. This would make a good refreshing drink for a halloween party. I would probably use a plastic cauldron and set on red and orange crepe paper to make it look like it is sitting on flames. cool! yum. I love black licorice. I will have to try this out. I love this Witches Brew. Great idea. I’d love to make some drinks like this for the party. 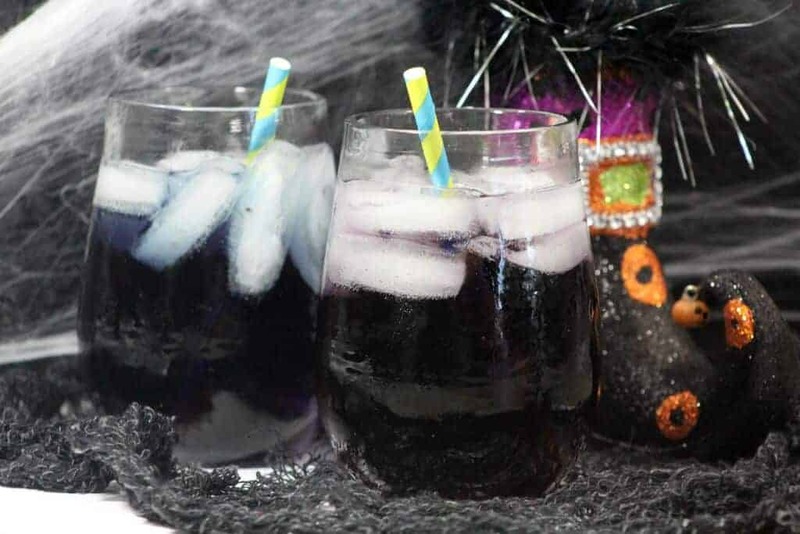 Great idea you are ready for halloween festivity with the drinks color spooky can’t believe its only grape juice and ginger ale how creative. The teens would love this kind of party thanks for sharing. I love this idea. My kids would love this awesome Halloween drink. Love this spooky drink. Perfect for Halloween party.Thank you for sharing with us at #HomeMattersParty. We would love to have you next week again. Ha!This is such a fun little drink! My daughters will get a kick out of this. Halloween is one of my favorite holidays! Can’t wait to do all the spooky activities! This is so cute, I can imagine the kids’ reaction when they see this. I can’t wait for Halloween. I love Halloween themed drinks. This looks so cool! I am not a fan of licorice flavoring, but I can’t wait to try this one. We have decided to have a Halloween party this year and this is something I can going to give a try. They look yucky however make a great spooky witches drink.